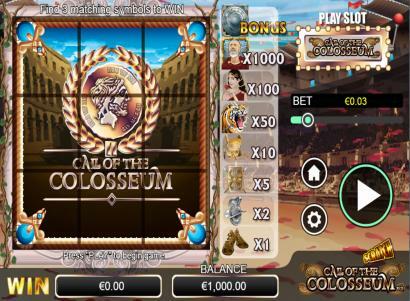 Enter the colosseum and stand alongside gladiators of the online slot world. Risk your life infront of thousands and work your way through the ranks of Ancient Rome. Rewrite history as you work through the bonus rounds and feel the crowd’s anticipation intensify as you begin your fight for cash in this triumphant scratch game. NYX Gaming – and NextGen’s games – both pride themselves on creating accessible, aesthetically pleasing games – they have been doing it for a number of years. Producing content for over 200 unique customers, this developer offers their own Open Gaming System to licensees, allowing for the world’s market leading multi-vendor casino content. In fact, through NYX, you may have access to over 2000 game titles via OGS, creating a system where it’s unlikely that you have not played one of their affiliated titles. In addition, NYX are in charge of OpenBet, where at the 2017 Grand National, it processed 68,000 bets a minute. Amazing! 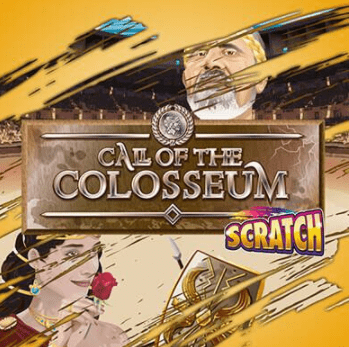 With an aesthetic undoubtedly meant to mirror the Ancient Romans, Scratch card: Call of the Colosseum presents an easy to play scratch card game in which you are a gladiator in the great Colosseum – with the emperor deciding your fate. NextGen Gaming have created a simple, easy to follow game that is highly accessible for all the low rollers among us. With a minimum bet of only a penny, you are not discouraged to play it safe for a while. With a max bet of 5.00 per card, however, there is the potential to win big in this new game. The art style itself is surprisingly detailed, including an incredibly ornate background, with vines crawling up a very stereotypical looking Roman pillar. Beyond this, you can see the Colosseum itself, creating a feeling of grandeur for the player as they scratch. This is certainly not a theme to be done in half measures! The symbols themselves reflect this aesthetic. With detailed helmets, shields, and chariots – as well as stylised characters to fit with the aesthetic - the game does an impressive job of immersing you in the scene it is attempting to replicate. With a satisfying scratch sound, as well as the cheer of onlookers when you win, this scratch card game is best played for low amounts, on a relaxing weekend afternoon. The prizes you win are not exceptionally big… until they are. If you get three emperors anywhere on the card, you are awarded ONE THOUSAND TIMES your original bet, as a reward for besting all the colosseum has to offer! The control scheme of this scratch card game is simplicity at its finest. There are three buttons on the game itself, with only one you actually need. After every bet, you can decide whether to click (or tap) on the three by three grid of symbols individually, or for it to happen automatically by pressing the bet button again. Luckily, if this is too tedious for you, you can choose to auto play up to one hundred times in a row. Also, there is more good news – you can simply change the bet for each card you get with a slider in the top right of the screen. With multipliers ranging from one times you’re betting amount to the monumental one thousand times mentioned earlier, you would be forgiven for spending many hours in this game. Definite recommendation!